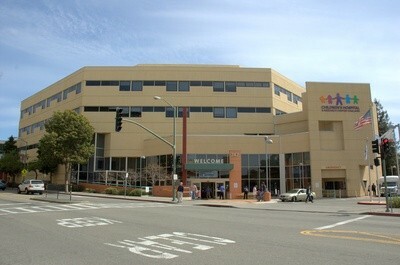 UCSF Benioff Children’s Hospital Oakland has reported notable coups recently, including a $50 million gift from Lynne and Marc Benioff, and the American College of Surgeons elevated its certification to a Level 1 Pediatric Trauma Center. But the hospital’s residents are not feeling the same recognition. In a statement, CIR/SEIU reported that federal mediations broke down with hospital administrators on May 20 because the hospital is allegedly not willing to make compromises. Specifically, physicians are asking for a one-time economic increase over a two-year period in hopes of keeping the residency program competitive, as well as a contribution from the hospital to a fund that addresses gaps in patient care. UCSF Benioff Children’s Hospital Oakland not only countered with not increasing wages, but also proposed freezing wages for three years and no contribution to the Patient Care Fund, according to CIR/SEIU. CIR/SEIU also said that the average salary for resident physicians working a normal 80 hours per week work schedule is less than $52,000, or about $12.50 per hour. Children’s Hospital Oakland has added two names to its title this year with its merger with UCSF and donations from the Benioffs, but administrators appear set on reducing the number of doctors and freezing wages. In a statement, Melinda Krigel, spokesperson for UCSF Benioff Children's Hospital Oakland, blamed federal budget cutbacks for the hospital's inability to increase wages. Krigel stated that the hospital has suffered cuts of more than 30 percent from a funding used "to support training of pediatricians and pediatric specialists." "This is a burden that is difficult to shoulder for a hospital such as ours without eliminating other vital health services needed by the community," Krigel stated.